SEO ( Search Engine Optimization ) A necessary part for every website. If you want your site listed and display on top pages of Search Engines like Google!, Yahoo!, MSN, Altavista, Alexa and hundreds of other top search engines then you need SEO Services to improve your website ranking. 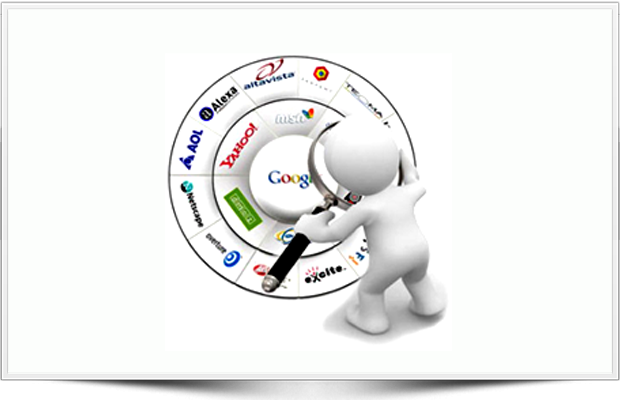 Search Engines bring maximum numbers of visitors to your website. We maintain high standard in our websites to satisfy Search Engines basic needs. Our SEO Services has ranked our sites on top levels on Global Search Engines. Search engine optimization, is the act of making ones website content more search engine friendly to make it rank higher. Dream Designers is one of the major Search Engine Optimization Company in India working at Global Level. We have a large list of satisfied clients in India as well as from many countries around the world. Dream Designers specializes in optimization of websites in competitive Global markets. Our SEO (Search Engine Optimization) Professionals research on right keywords and optimize your website based on the most searched keywords on Search Engines. Our SEO Professionals are experts to provide high rankings of websites on Top Search Engines like Google!, Yahoo!, MSN Live, Altavista, Alltheweb and submits your website on more than 125 Search Engines. We are working professionally at global level, so no matter which country you belongs to, our SEO (Search Engine Optimization) services will rank your website on Top Search Engines in a very short time period. High Quality and Top Ranking are our primary goals.